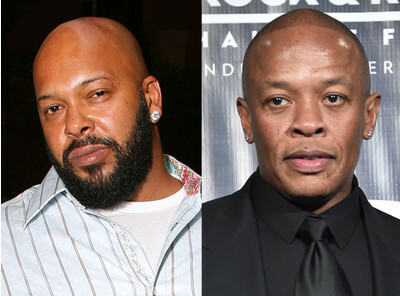 Suge Knight has recently made some shocking claims about famous rapper Dr. Dre. Knight actually claimed that the rapper hired a hitman with the purpose to have him killed. Knight filed a lawsuit against Dre on the allegations. According to the lawsuit, the incident happened back in 2014 in Hollywood. TMZ reported that Knight claimed that the hitman hired by Dr. Dre actually shot him seven times. Apparently, the reason why Dr. Dre wanted to have Suge Knight killed is actually linked to the Beats headphones business. The lawsuit said that Dre and Knight had a deal that granted a 30% of Dre’s entertainment earnings to the plaintiff. However, when Apple showed interest in the Beats business, Dre tried to cut Knight out, as he didn’t want his company to be associated with the troubled rapper. Probably, Dr. Dre feared that this could jeopardize in a way or another the business. And he tried to get rid of Knight, the lawsuit said. Knight said that he knows that Dr. Dre hired people to kill him, because after the shooting, a man that was questioned by the Los Angeles police actually told the cops that he was paid by Dre to murder the rapper. However, the cops did not arrest anyone in connection to the case. But, Knight said that a second man also revealed Dre paid for his murder. This man allegedly said that he was hired by Dre and tried to attack Knight in 2015 at Tam’s Burgers in Compton. This man said that he received $300,000 from Dre and Universal to get rid of Knight. Knight struck the attacker with his car and this man was injured during the altercation. Suge Knight lists in his lawsuit Dr. Dre, Apple, Universal and Tam’s Burger as defendants. He is seeking $300 million from Dre in damages. Dre’s legal team dismissed the accusations, saying that the rapper had no interaction with Suge Knight since 1996. It is yet to see if the lawsuit will be allowed to proceed and what will be claimed next.